You are here: Home / Blog / Gotta be careful with plugins! 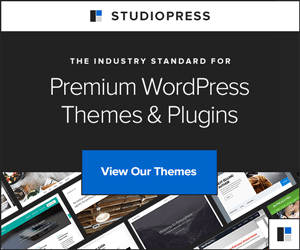 A couple of weeks ago, I wrote an article here on WP-StepByStep explaining how to use Plugins to extent your WordPress site. Well, I had a bit of a “bad plugin experience” over this past weekend. I thought I’d tell you about it here, in case you are also experiencing problems. Over the weekend, I posted a few new articles on some of my WordPress blogs. Whenever I post a new article, one of my plugins called WordBooker automatically posts a link to that article on my Facebook page. When my Facebook friends see the link to my newest articles, many of them follow the link and go read the article. Well, on Friday, a link was posted for a new article on one blog. I started getting a lot of comments on Facebook telling me that the link did not work. Hmm… I tried it and it worked fine for me. But, people would persist in telling me that it did not work. They told me that when the went to my site it just showed them a bunch of weird characters, gibberish more or less, not something they could read. It was obvious to me that even though I could read the site, many others could not. Because I could think of no reason for this problem to happen, I could not figure out how to fix it. I did some research, but came up with no answers, so the problem went unfixed. Then, on Sunday, I posted an article on a different site, and the Facebook link was automatically posted too. Within minutes, I started getting the same response, people could not read the site! I looked and could read it fine, though. Hmm… something had to be fixed! It was not good that people could not read my websites. A few minutes after I posted that second article to Facebook, my son came to my office and told me that he could not read my site either, so I finally was able to see what others were seeing by viewing the site on my son’s computer. Sure enough, it was nothing but gibberish. Seeing it myself, though, gave me more insight and made me know better what to search for in looking for a fix. I came up with a few fixes, as it seemed like a database problem with my WordPress sites. I had my son check my other sites, and it seemed that about 75% of my WordPress sites were affected and unreadable. Not good. In my previous article, the one that I linked to at the beginning of this article, I gave a list of WordPress plugins that I use, so that you can consider if those plugins will also be good for you. One of those plugins on the list was W3 Total Cache. While doing my research and testing on the problem, my initial reaction was that it was a database problem, as I said. Turns out that the databases were fine, but the problem was with the W3 Total Cache plugin! I started testing by going to different blogs and turning off the W3 Total Cache plugin for each site. As I did this, the sites were then readable, 100% of the time. Hmm… this really proved that it was the plugin that was destroying the readability of my sites! My next step was that I went and turned off the plugin on all sites, then removed the plugin. I still want and need to cache the content to take load off of the server, but I will try a different plugin for that, and when I find the right one I will write about it here, so that you will know about it. I should have realized that there was a problem with W3 Total Cache. Why? Because last week, W3 Total Cache had an update to the plugin. Then, the next day there was another update. When that happens, new updates 2 days in a row, it is my experience that it means that there was a problem with the update. The plugin writer has to update again because some unexpected problem occurs. When W3 Total Cache had two updates in two days, though, I didn’t think about it. Whenever I update any software on my sites, after the update I go look at the site to make sure that the site is running smoothly. I did this after the W3 Total Cache update and everything looked fine. As I said, when others told me that they could not read the sites, they looked fine to me too. Why could I not see the problems? With W3 Total Cache, if you are logged into the site as the Admin of the site, you are not served the cached content! You are served the actual content on the server. This is so that if the admin makes changes, instead of seeing the cached data which would not instantly show changes, the admin sees the live data. No wonder I could not see the problems! It was the cached data which was messed up, but the non-cached data was fine. Because of this, eliminating the W3 Total Cache plugin eliminated the problem altogether. If you are using W3 Total Cache, I strongly recommend that you check and see if this is happening to you too. One way to check is by using a different computer to check. Or, you could log out of WordPress before checking if your site looks OK.